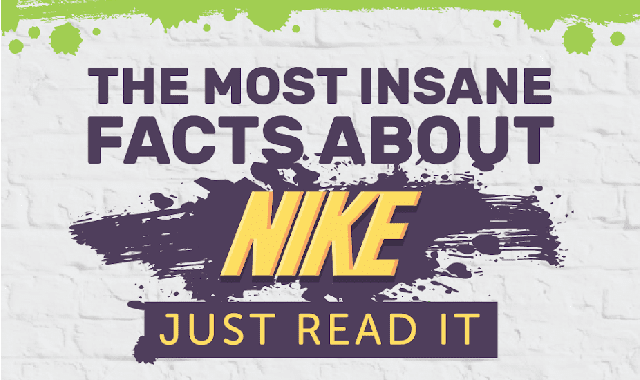 The Most Insane Facts About Nike #Infographic ~ Visualistan '+g+"
Phil Knight was writing one of his college papers when he decided to start his own shoe company. In half of a century his initiative turned into the world's biggest athletic footwear, apparel, accessories, and equipment selling company. Find out the most interesting facts and stats about Nike in the infographic below.